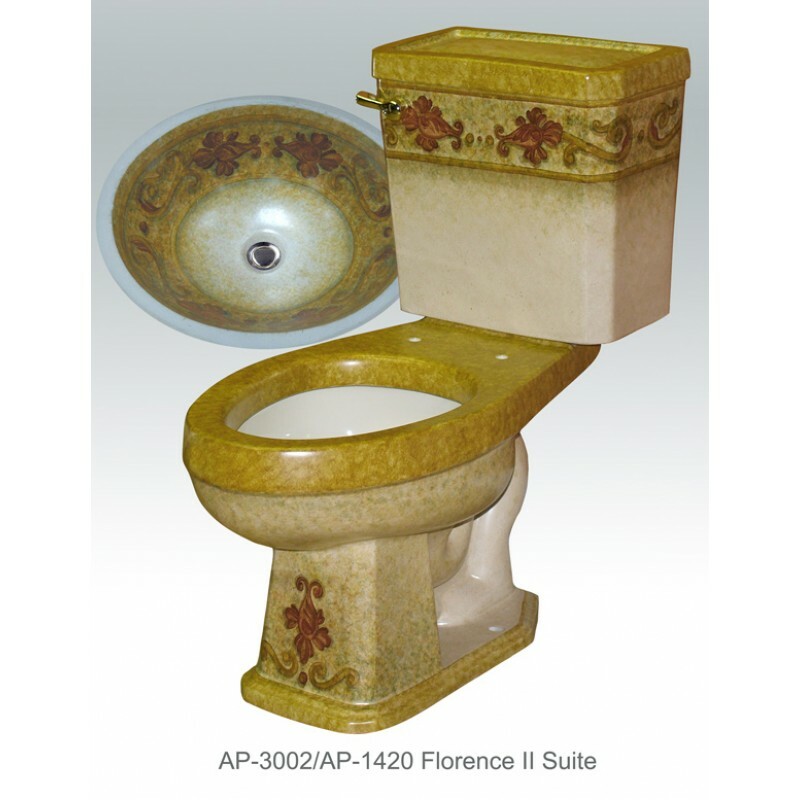 Brand: Atlantis Porcelain Art - Hand painted sinks, tubs and toilets. 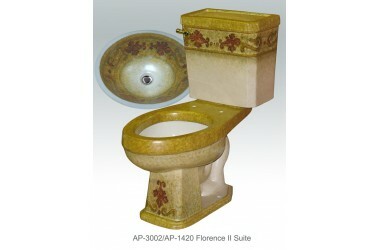 AP-3002/AP-1420 Florence II Suite. White Arena II elongated front toilet with AP-1420 Monaco Medium sink with Florence II design. Toilet is 16" comfort height, 30 3/4" x 29 1/2". All toilets are code approved, 12" rough in, low volume, 1.6 gallons per flush. Sink inside dimensions are 17 1/4" x 14 1/4" x 6" deep. Outside dimensions are 19 1/2" x 16 1/2". With overflow.